One of the most underrated ways to transform your home is to focus not on your interior, but actually the outside–more specifically, the backyard. Adding a patio to your garden can transform the way you use your home. From relaxing outdoors in a peaceful and tranquil environment to using the patio as a social space to chat with friends and family members, your patio can add a lot of value and functionality to your home. The best-designed patios will be able to incorporate outdoor and indoor living in the same space. It’s a seamless transition from nature in your backyard to the furniture and appliances that you can find indoor, which is why a lot of patio furniture tends to blur the lines between the two. For example, you’ll find that there are many different patio furniture styles that mimic what you would find indoors. It’s durable and waterproof so that it can survive the elements, yet comfortable and pleasing to the eye. It’s a far cry from the plastic garden furniture that you might be used to, and it allows you to relax while enjoying the serene backdrop of your garden. Passive home design is one of the newest buzzwords to grace the housing industry. It’s just a term used to describe taking advantage of nature and the climate to create a comfortable and soothing home. This has connections to outdoor living lifestyles, such as using your patio for more than just barbeques and instead, considering it a regular part of your home that you would use on an everyday basis like your living room. Passive home design involves utilizing the outdoors as much as possible to create a comfortable work and living environment yet also be able to cut down on the bills. For example, cooking outside with your grill on a more regular basis in the summer will mean that your home won’t be heated by your cooking appliances, resulting in less use of your air conditioner. Similarly, an all-weather style patio can offer you a room that seamlessly blends indoor and outdoor living, such as utilising window placements that offer the most sunlight during the day for maximum brightness and heat absorption during the winter. Patios are brilliant living spaces that offer more space in your home but also a unique approach to life that can take advantage of nature. 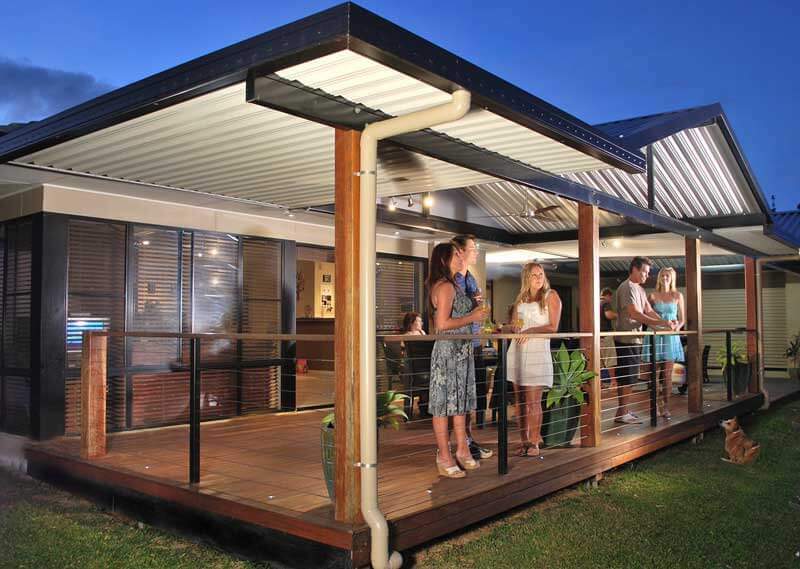 Patios used to be boring and unimaginative, but we’ll show you that it can transform the way you live your life. Factory Direct offers locally-manufactured designs that provide exceptional quality and unbeatable value. We’ll help you design the perfect patio that will help you transform your way of living to make more use of the natural beauty that surrounds you. The all-year warm weather that we experience in Perth makes a patio transformation the perfect renovation to undertake, so get in touch with us today to see how we can help you.